By bus: Karnataka State Road Transport Corporation operates daily buses to Hospet from Bangalore, Mysore and Gokarna. Book your tickets in advance if you want a coach or an air-conditioned service, because the number of travellers is large. There are private bus companies operating buses on these routes too, but the government operated service is better. By car: You can hire a cab from one of these cities or drive down yourself. If you are booking tours/accommodation with us, we would be happy to arrange a pickup from any of these cities as well. Please contact us for assistance or more information. 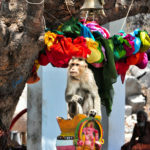 You can browse our blog section for more information like various ways available to a traveller to reach Hampi from Goa. The sites in Hampi are spread over 30 square kilometers, so one has to use some means of transport to get around to different clusters or areas. Within a cluster you can cover different monuments on foot. Cycling : This is a good way of exploring the monuments in Hampi if you have the energy to pedal and time to spend. However there are very few quality cycle rental services in Hampi, most cycles you'll get are rickety and old. So please be careful while renting one, take a trial ride to see if you are comfortable riding it. Also keep in mind that there is no basic cycling infrastructure at the site like bicycle stands or dedicated bicycle lanes. You will find there are couple of rentals in Janata Plots next to the Virupaksha Temple near the Hampi Bazaar. To the north of the river you'll find a few vendors too (on the road side) at Virupapura Gaddi (Hampi Island). All cycles are gearless. Mopeds / Motorcycles: Mopeds are another convenient way to explore the world heritage site of Hampi. Only licensed vendors (having registration number displayed in yellow font on a black board) are allowed to operate within the core zone of the site that falls south of the river Tungabhadra. You can also rent mopeds/motorcycles at Virupapura Gaddi (Hampi Island) and use it to explore the northern areas like Sanapur lake, Anegundi Village, Durga Temple and Fort, Anjanadri Hill. At Explore Hampi we run few tours where we use mopeds as part of the experience. Auto Rickshaws : The most popular way of getting around different sites in Hampi is the humble Auto Rickshaw or the tuk-tuk as some people call it. You can even book one for the entire day. You can find autorickshaws at the stand near Hampi Bazaar anytime of the day. Car : This is the least used option by travellers in Hampi. If you have the elderly or young children then you can consider this option for the comfort it provides. If you have your own car you can certainly use it to explore Hampi, there are plenty of parking spaces available throughout Hampi's core zone. If you wish to hire a car with a driver, that can be arranged easily by your hotel or a travel agency. There are no self drive options available in Hampi. Hampi has few neighbourhoods and nearby towns where most of the accommodation options are concentrated. Here we have listed the different areas and pros/cons related to each. You can visit our blog for a recommended list of accommodation in Hampi. Hampi is a protected world heritage site, therefore new construction is prohibited within the core zone area. All of the residents within the protected area are being moved out by the government in phases. The last remaining residents within the core zone live in an area called Janata Plots. Some of the residents have modified their houses into tourists guesthouses. These guest houses have very basic but comfortable accommodation. If you want to stay close to Hampi's sites and want a budget option, then this will suit you. Keep in mind that only vegetarian food is served here because it is located next to the Virupaksha Temple, and not alcohol. River Tungabhadra flows through the protected site starting from west and flowing down to east. All the important sites within the protected core zone are located south of the river. There are several areas to the north of the river where you can find accommodation. One such area is Virupapur Gaddi or Hampi Island as it is referred to by the travellers. This is backpacking paradise with many guest houses set amongst paddy fields with hammocks, relaxing vibe and good food. Few of the restaurants in this area serve global cuisine and occasional beer. Nearby towns outside of the protected zone also provide quality accommodation. Kamalapur (5 Kms away) and Hospet (12 Kms away) have several resorts and star hotels. These accommodation options are better suited for families and large groups. 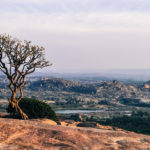 While Hampi is well known for the stunning ruins of ancient capital of Vijayanagara, there are several other things that are worth exploring here. Which is why you'll need atleast 2 or 3 days here. If you want to immerse yourself then you can stay for a week. 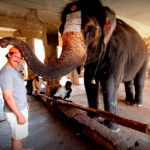 We have briefly listed things you can do and explore within Hampi. Some of these you can do on your own, others you will need help. Explore the History & Architecture of Hampi - Cover all important monuments within the core zone of World Heritage Site. Learn about the unique architecture and functions of different monuments. Learn about the Vijayanagara Kings, the socio-economic standing of the kingdom, wars they fought, festivals they celebrated. Explore the Cultural Heritage of Hampi: There are some 28 village settlements around Hampi, the people living in these villages are an essential part of the site itself and add to its significance. 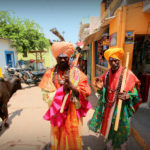 Explore how being part of this ancient city has shaped them, learn about their livelihoods, meet and engage with locals. Engage in Arts and Shop local: There are various art forms that find their origin in the region. While theatre and dance performances are harder to come by you can certainly dive into local handicrafts. In Anegundi village few womens organisations run craft centers that make fashionable items from Banana fiber and Water Hyacinth. The region is also famous for its handwoven cotton ilkal saree. Women from Lambani tribe make stunning pieces of tribal jewellery. Art workshops of even performances can be arranged on demand. 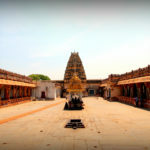 Hear Tales from Mythology and visit related places: Hampi and the surrounding area is believed to be Kishkindha mentioned in the great Indian epic Ramayana. There are various hills, ponds, caves and temples that are associated with the story in this area. You can go on a trail reliving the story from ramayana as narrated by a local.